BNP Paribas is deeply rooted in the economic history of Spain. The institution is the product of several mergers, and the origins of the banks that today make up BNP Paribas today go back very far in time. The Banque de Paris et des Pays-Bas (Paribas) is recognised by historians as the first of Spain’s international banks, which since the mid-nineteenth century were essentially dedicated to financing the needs of the state and the railway networks. At the end of the century, Paribas was the leading promoter of institutions such as the Banco de Castilla and the Banco Hipotecario (Mortgage Bank). It enabled the transformation of Crédito Español Inmbobiliario into Banesto in 1902, contributing 40% of its founding capital and driving its transformation into the first “mixed” bank in Spain, which combined retail banking activities with corporate and investment banking. For its part, the Italian Banca Nationale del Lavoro (BNL) was one of the exclusive groups of foreign institutions operating in Spain even from before 1936, participating in the creation of companies such as SEAT and SNIACE, during the period that followed the Civil War. 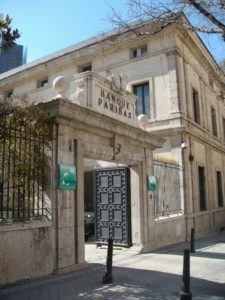 Following the liberalisation of the financial market in 1979, the Banque Nationale de Paris (BNP) and Paribas were among the first companies able to develop a comprehensive banking operation in Spain. Traditionally, BNP was more focused on retail, whereas Paribas concerned itself mainly with corporate and investment banking. 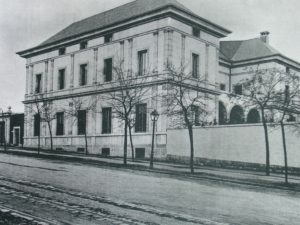 In 1981, the Banque Nationale de Paris bought 76% of Banca López Quesada, a Spanish bank that had been created in 1918 and which, at that time, had a network of 47 branches and 700 staff. This acquisition implied a shift towards retail banking on BNP’s part. 2000 saw the merger of BNP with Paribas and the new bank decided to focus its activities on private and corporate banking. In June of that year, BNP Paribas sold 61 offices to Caixa Galicia, distributed throughout Spain. In 2007, the four international offices of BNL, including Madrid, were absorbed by the local branches of BNP Paribas. The office was dedicated to providing financing and investment services, mainly to companies based in Spain. The year 2009 represented another key milestone in the history of the bank: BNP Paribas acquired Fortis, a company of Belgian origin which had originally been part of Société Groupe de Belgique, and this reinforced the bank’s leadership in the fields of corporate banking and private banking. BNP Paribas is currently one of the three leading foreign institutions in the Spanish banking sector, with 3,550 employees in the country and more than 1,700 corporate clients and 2,700,000 individual clients*. BNP Paribas in Spain offers services in two major areas of activity: Corporate & Institutional Banking and Retail Banking & Services.